As the accuracy of astronomical observations improved and fainter stars were charted, the opportunities grew for innovators to introduce new constellations even among the area of sky known to the ancient Greeks. Ten more constellations were introduced later in the 17th century by the Polish astronomer Johannes Hevelius (1611–87), filling the remaining gaps in the northern sky. These were listed in his star catalogue dated 1687 and depicted on his accompanying star atlas called Firmamentum Sobiescianum, both published posthumously in 1690. Oddly, Hevelius insisted on measuring star positions with the naked eye even though he possessed telescopes for observing the Moon and planets; many of his constellations were deliberately faint as though he was boasting of the power of his eyesight. Of Hevelius’s inventions, seven are still accepted by astronomers (see Table 3). The rejected three were Cerberus, Mons Maenalus, and Triangulum Minus (see Chapter 4). Although the northern constellations were now complete, there were still gaps in the southern sky. These were filled by the French astronomer Nicolas Louis de Lacaille (1713–62) who sailed to South Africa in 1750. There he set up a small observatory at the Cape of Good Hope (not yet known as Cape Town) under the famous Table Mountain, which impressed him so much that he later named a constellation after it, Mensa. At the Cape from August 1751 to July 1752 Lacaille observed the positions of nearly 10,000 stars, an astounding total in the short time. On his return to France in 1754, Lacaille presented a map of the southern skies to the French Royal Academy of Sciences which included 14 new constellations of his own invention (see Table 4). An engraved version of the map was published in the Academy’s Mémoires in 1756 and Lacaille’s new constellations were rapidly accepted by other astronomers. Whereas Keyser and de Houtman had mostly named their constellations after exotic animals, Lacaille commemorated instruments of science and the arts, with the exception of Mensa, named after the Table Mountain under which he had carried out his observations. 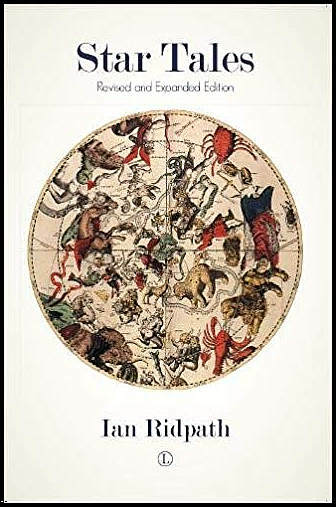 His full catalogue, and a revised map with the names of his new constellations in Latin, was published posthumously in 1763 under the title Coelum Australe Stelliferum. In his catalogue, Lacaille divided up the unwieldy constellation Argo Navis, the ship, into the subsections Carina, Puppis, and Vela that astronomers still use as separate constellations. As well as creating 14 new constellations, Lacaille eliminated a pre-existing one – Robur Carolinum, Charles’s Oak, introduced by the Englishman Edmond Halley in 1678 to honour his monarch King Charles II. All those from Lacaille’s time onwards who gerrymandered the constellations did so without lasting success, but there were plenty of astronomers who tried to leave their mark on the sky. Constellation mania had reached its height by 1801 when the German astronomer Johann Elert Bode (1747–1826) published his immense star atlas, Uranographia, containing over 100 different constellations; but by then astronomers realized that things had gone too far, and during the ensuing century this number was eroded by a process of natural wastage. In 1899 the American historian R. H. Allen summed up the prevailing situation in his book Star Names and Their Meaning: ‘From 80 to 90 constellations may be considered as now more or less acknowledged’. One serious deficiency remained, though: there were still no generally agreed boundaries to the constellations. Since Bode’s time cartographers had drawn freehand lines snaking between constellation figures, but these were arbitrary and varied from atlas to atlas. On behalf of the IAU a Belgian astronomer, Eugène Delporte (1882–1955), drew up a definitive list of boundaries for the 88 constellations. 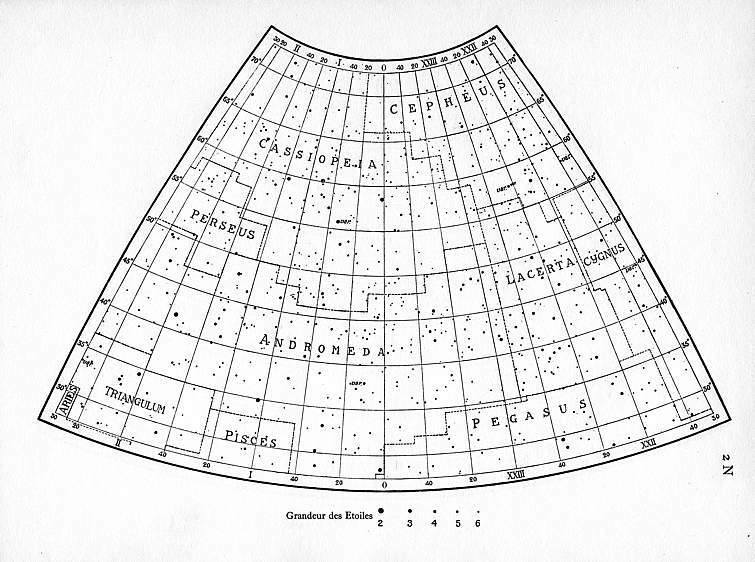 For consistency with the earlier work of the American astronomer Benjamin Apthorp Gould (1824–96), who in 1877 had published boundaries for the southern constellations in his atlas called Uranometria Argentina, Delporte drew his boundaries along lines of right ascension and declination for the year 1875. The boundaries zig-zagged to ensure that all named variable stars remained within the constellations they were already assigned to. Delporte also modified some of Gould’s boundaries, particularly in places where he had used diagonal lines. Delporte’s work, approved by the IAU at its meeting in 1928 and published in 1930 in a book called Délimitation Scientifique des Constellations, amounts to an international treaty on the demarcation of the sky, to which astronomers throughout the world have conformed ever since. Constellations are now regarded not as star patterns but as precisely defined areas of sky, rather like countries on Earth. Unlike the map of the Earth, though, the map of the sky is unlikely to change. JOHANNES HEVELIUS was a wealthy brewer from Danzig, now Gdańsk, Poland. In the 1640s he set out to enlarge and improve upon the star catalogue of the Danish astronomer Tycho Brahe. Hevelius observed from a platform over the roof of his house with naked-eye instruments such as a quadrant and sextant, assisted from 1663 by his second wife, Elizabeth (c.1646/7–c.1693). In 1679 a fire destroyed much of the building but his precious catalogue was saved. This, along with his star atlas, was in the process of being printed when Hevelius died in 1687. Elizabeth supervised its final publication in 1690. Hevelius’s master work came in three parts: an introduction called Prodromus Astronomiae, which included descriptions of new constellations he had invented; the catalogue of 1,564 stars, called Catalogus Stellarum Fixarum; and the star atlas, Firmamentum Sobiescianum. Seven of the constellations introduced by Hevelius are still accepted and are listed in Table 3 (above left). Of these, Scutum had already been published in 1684 to honour the King of Poland who had helped Hevelius with rebuilding his observatory after the destructive fire. The remainder had been invented by 1687, the date on the printed catalogue, even though they were not published until 1690. Three additional Hevelius constellations shown on his star charts – Cerberus, Mons Maenalus, and Triangulum Minus – were later dropped by other astronomers. For a detailed analysis see The Star Catalogue of Hevelius by Frank Verbunt and Robert van Gent, 2010. 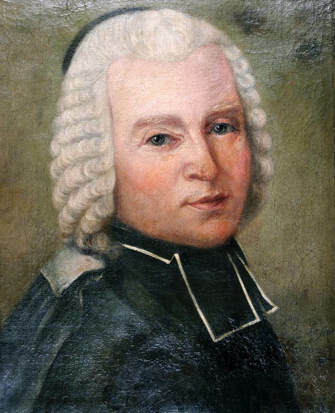 Nicolas Louis de Lacaille (1713–62), surveyor of the southern skies. FROM August 1751 to July 1752 Lacaille observed the southern skies from the rear of a house near Table Bay at the Cape of Good Hope, using a telescope of a mere 13.5 mm (half an inch) aperture mounted on a 3-ft quadrant. With this basic equipment he diligently compiled accurate observations of some 9,800 stars between the Tropic of Capricorn and the south celestial pole. He marked 1,930 naked-eye stars on a planisphere which he presented to the French Academy of Sciences in 1754; this was published in their Mémoires two years later along with a preliminary catalogue titled Table des ascensions droites et des déclinaisons apparentes des étoiles australes. Lacaille’s planisphere included the 14 new constellations he invented to accommodate the otherwise unadopted stars he listed (Table 4). His final catalogue, Coelum Australe Stelliferum, containing 1,942 entries was published posthumously in 1763. It included the same planisphere as before although this time with the constellation names in Latin rather than French and the stars identified with Greek and Roman letters. In both his initial and final catalogues Lacaille divided the stars of Argo Navis into three parts – the keel, the stern, and the sails – but his charts still showed it as a single figure.